This is one of those easy to put together, weeknight meals we often enjoy when we’re not sure what else to make. If we have the time, we will go ahead and throw together some nice homemade tortillas, or alternatively pick up our favorite local tortillas. There are a couple things to consider when making fajitas, you have the meat and the marinade. Often, we prefer to use chicken thighs for this dish. They stay nice and moist due to their additional fat content and they seem to retain the flavor of the marinade well. Obviously, use the meat you like or the meat you have on hand which needs to be used. The marinade we use is a mixture of this and that sometimes substituting a few things here and there, but the core of the marinade is usually the same. The following are some basic guidelines to create a tasty marinade, but you will soon customize to the flavors you enjoy most. 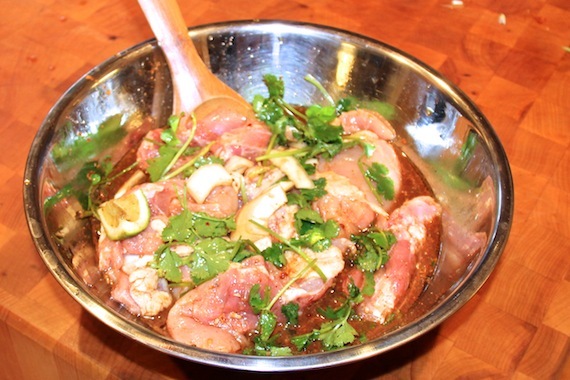 Start the marinade by putting your chicken in a large bowl or zip lock bag. Then, add the next 6 ingredients. Squeeze the lime juice into the marinade and then throw the squeezed limes in as well. Make sure to stir it around so the meat is in contact with the marinade. Let marinade for at least an hour or overnight if you can. Preheat the grill or grill pan making sure to give enough time for it to get hot. Pull each piece of meat out of the marinade (shaking off any stuff) and place on the hot grill. Let the pieces grill until browned, about 10 minutes on each side. Pull the fajitas off of the grill and slice into taco sized strips. 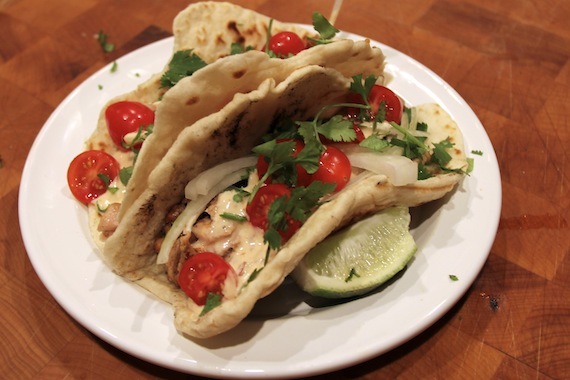 Assemble your tacos with your tortillas, fresh lime, tomato, avocado, cilantro, cheese, or any flavors you enjoy on your tacos.